The prime minister addresses the Knesset plenum on 50th annual celebrations of Jerusalem Day, which marks Israel’s reunification of the city in the 1967 Six Day War. Netanyahu also says it’s “absurd” that many countries choose to have their embassies in Tel Aviv instead of Jerusalem. Defense Minister Avigdor Liberman says he doubts the devastating bombing in Manchester will have any impact on European counterterrorism tactics because of the continent’s “politically correct” character. Liberman says every bombing in Europe results in much talk, but little action. He tells Israel’s Army Radio the problem is extremism among Muslim youths who are not integrated into society. At least 22 people were killed in Monday evening’s attack at an Ariana Grande concert. The bomber, Salman Abedi, was UK-born and of Libyan descent. The official threat level in Britain has since been raised to its highest point. Liberman adds that Israel and Britain enjoy close intelligence cooperation and Jerusalem offered its assistance following the attack. US President Donald Trump says he had “a fantastic meeting” with Pope Francis earlier today. The president offers brief remarks as he sat down with Italian Prime Minister Paolo Gentiloni in Rome. Trump ignores a question about whether they discussed climate change. The president arrived at the Villa Taverna shortly after noon, following a meeting with the country’s president at Quirinale Palace. He’ll be departing Rome for Brussels later today. Opposition leader Isaac Herzog calls on Netanyahu to resume peace talks with the Palestinians, promising the prime minister backing from the opposition if he pursues a “sincere and courageous” plan to reach a two-state solution. 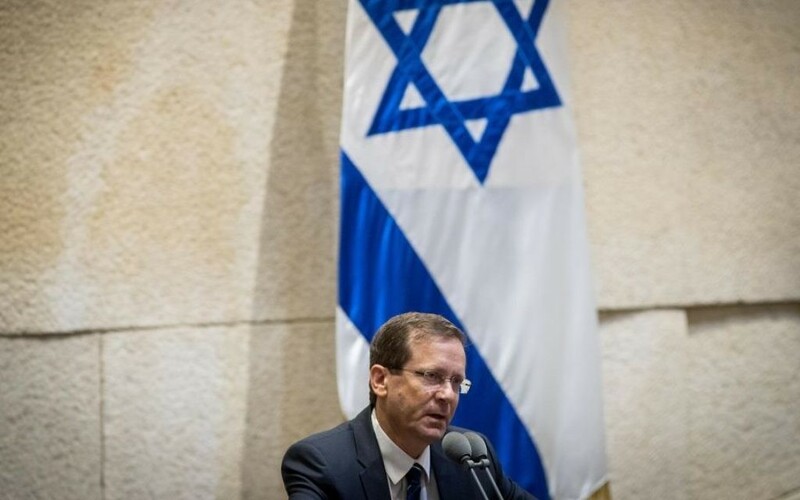 In a Jerusalem Day Knesset address, Herzog says “now is the time to embark on a brave and historic move to separate ourselves from the Palestinians and implement the two-state solution. 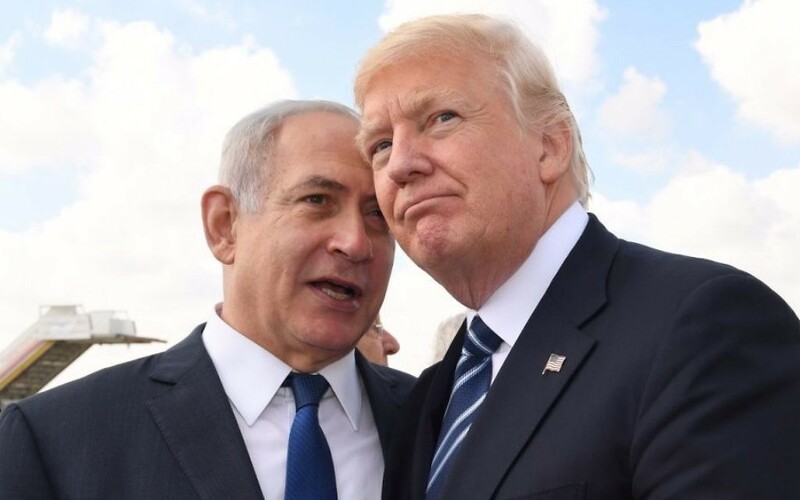 “This is the time, on the 50th anniversary of the Six Day war, to rrid us of the heavy burden of millions of Palestinians, and to ensure the continued existence of the State of Israel as a Jewish and democratic state, the homeland of the Jewish people, for generations to come,” he says. The Italian coast guard says at least 20 migrants have died after their vessel capsized off Libya’s coast. The coast guard says the ship was carrying about 500 people. At a certain point, either a wave hit or the migrants shifted to one side and about 200 of them ended up in the water. Officials intervened and rescued most, but at least 20 bodies were seen. The coast guard, which is coordinating migrant rescues, has dispatched other rescue vessels to the area to try to find any survivors. The incident was one of 15 rescue operations over the past day that have saved some 1,700 people. Netanyahu says the US is committed to maintaining Israel’s qualitative military edge in the Middle East, and has added an additional $75 million to Israel’s missile defense programs. The prime minister’s assurances come after a handful of Israeli officials voiced concern at the newly inked $110 billion arms deal between the US and Saudi Arabia. He says the additional $75 million in aid was pledged by Trump during his visit to Israel earlier this week. Iran signs a deal worth $615 million — or 550 million euros — with a Spanish-Iranian consortium under which the group will provide pipes used in Iran’s oil industry. The consortium, which includes Spain’s Tubacex S.A. and Iran’s Foolad Isfahan Company, will produce pipes made of a corrosion resistant alloy for a network of 600 kilometers, or about 370 miles, over three years. It was the first major deal for Iran’s oil industry since President Hassan Rouhani’s re-election last week to another term in office on a platform of reform and greater openness to the international community. Jerusalem readies itself for a series of 50th annual celebrations of Jerusalem Day, which marks Israel’s reunification of the city in the 1967 Six Day War. 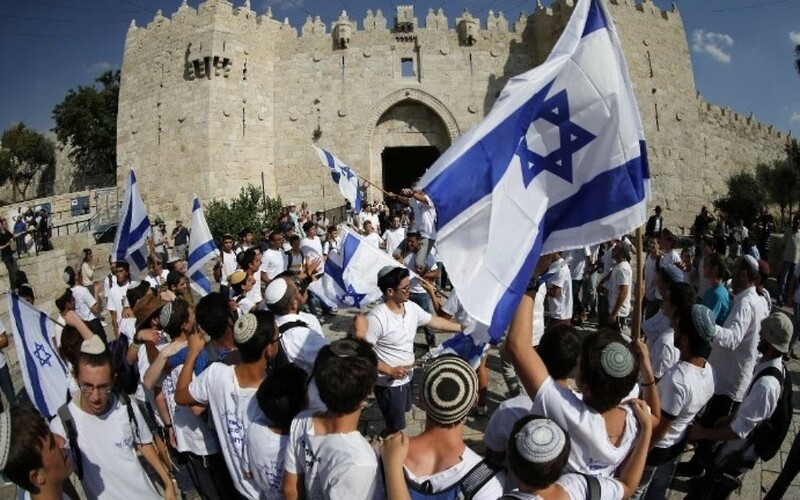 At around 4:30 this afternoon, thousands are expected to take part in the annual “flag dance” in which primarily religious teenagers march through the Old City decked in white and blue, the colors of the Israeli flag. 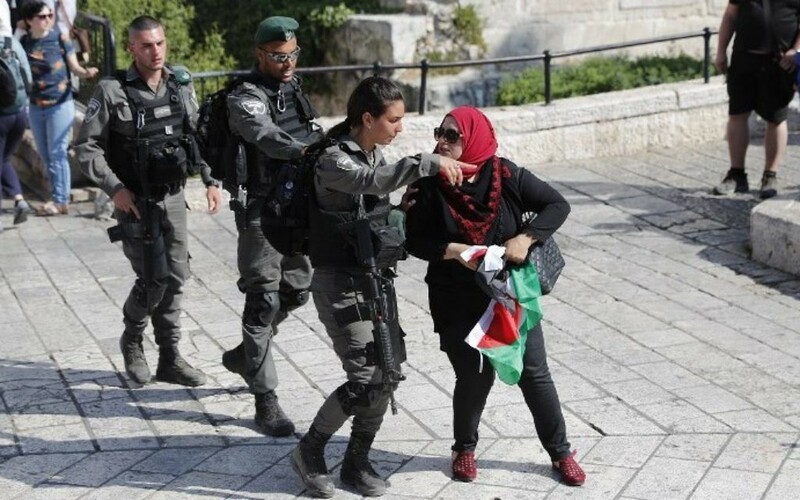 Amid fears that the nationalist demonstration could inflame tensions with local Arab residents, police in a statement say officers are “fully deployed” throughout Jerusalem. An official Jerusalem Day official ceremony will take place at Ammunition Hill later in the evening. In a statement, police announce a number of road closures in central Jerusalem starting from 4 this afternoon until 9 p.m., including Bezalel, King George, Keren Hayesod, Agron, Shmuel Hanagid, Khativat Yerushalayim, Sultan Suleiman, Ma’ale HaShalom and Route 1 southbound starting from the National police headquarters. Police say all public transformation will be operational throughout the evening, though alternative routes may be used. Britain deploys hundreds of soldiers to secure key sites across the country, including Buckingham Palace and the British Parliament at Westminster in the wake of Monday’s suicide bombing in Manchester that killed at least 22 people. The government says nearly 1,000 soldiers and not police are guarding in high-profile sites in London and other locations. At least 16 civilians were killed in bombing raids early this morning by the US-led coalition near the Islamic State group’s Syrian bastion Raqqa, a monitor says. The Syrian Observatory for Human Rights says the toll included a woman and her five children, as well as three couples. “The coalition strikes hit Al-Baruda, a village about 15 kilometers (10 miles) west of Raqqa city,” says Observatory head Rami Abdel Rahman. “Most of those killed had fled eastern parts of the province of Homs,” he adds. A South Florida man charged with plotting to bomb a Miami-area synagogue and Jewish school is negotiating a plea agreement, his defense attorney says. James Medina, 41, has been negotiating with prosecutors on a proposed guilty plea, The Associated Press reports, citing court papers filed last week. He originally had pleaded not guilty. “This struggle, supported by Jews around the world, ultimately brought down the Iron Curtain and enabled a million Jews to come home to Israel,” Sharansky says in a statement released on Jerusalem Day. Clashes break out between Palestinian protesters and Israeli security forces as Israeli demonstrators march through the Old City of Jerusalem to mark the 50th anniversary of Israel’s reunification of the city in the 1967 Six Day War. Thousands are taking part in the annual “flag dance” in which primarily religious teenagers march through the Old City decked in white and blue, the colors of the Israeli flag. The clashes break out as several dozen young Israeli men marched through the Old City’s Damascus Gate on their way to the Western Wall when they encountered a group of Palestinian protesters. Israeli forces moved in, and clashes ensued with the Palestinian protesters gathered on Sultan Suleiman Street, adjacent to the march route. No injuries are reported. 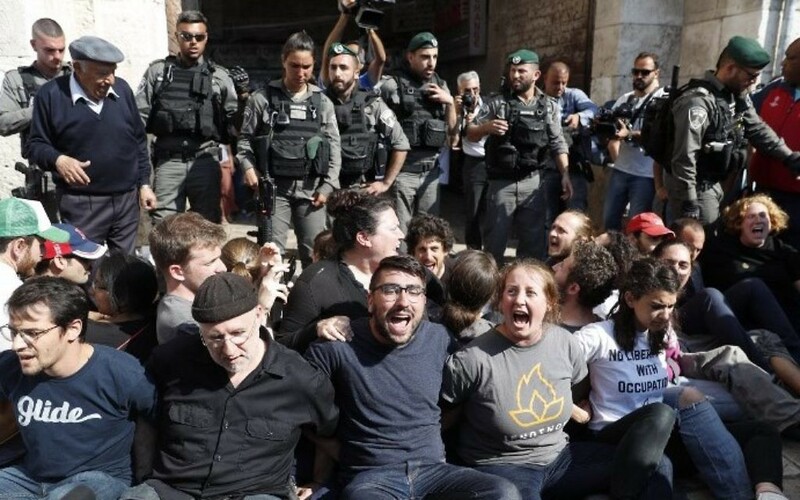 Earlier this afternoon, Israeli security forces clashed with left-wing peace activists who attempted to block marchers near Damascus Gate. The peace activists include a group of American Jews who traveled to Jerusalem to protest against the annual parade. US President Donald Trump arrives in Brussels ahead of his first talks with NATO and European Union leaders, an AFP journalist says. Flying from Rome after a high-profile meeting with Pope Francis, Trump will meet the king and queen of Belgium and Belgian Prime Minister Charles Michel later today, before attending the EU and NATO summits tomorrow. Manchester’s police chief tells reporters that it is clear “this is a network we are investigating” as he gives an update on the probe into the bomb attack at a pop concert in the city. Chief Constable Ian Hopkins said Wednesday that police are carrying out extensive searches across Manchester as part of their probe. Hopkins declined to comment on whether police have found the alleged maker of the explosive device used in Monday night’s attack. His comments follow media reports that the alleged bomber, Salman Abedi, acted as a “mule” for others. Hopkins says a serving police officer was among the 22 people confirmed killed in the attack. He confirms that a total of four suspects have been detained so far. A federal appeals court in New York rejects a bid by freed Israeli spy Jonathan Pollard to ease his parole conditions. The 2nd US Circuit Court of Appeals in Manhattan rules the US Parole Commission was justified in requiring Pollard wear an electronic tracking device, obey a curfew and submit to computer monitoring. Earlier this month, Pollard’s lawyer told the court the terms of his client’s release were “embarrassment and a burden,” and were preventing him from finding a job. Pollard in 1986 pleaded guilty to conspiring to deliver national defense information to a foreign government, giving secrets to Israel. 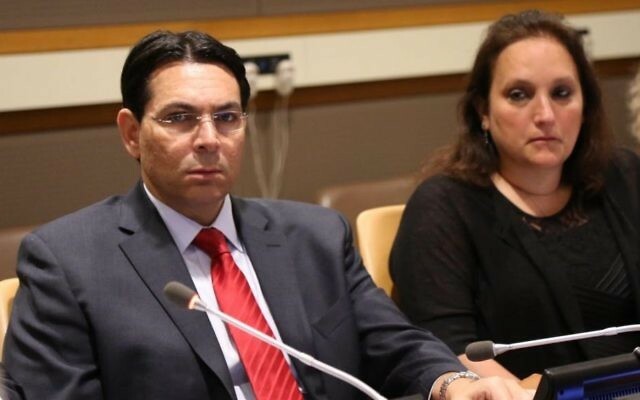 The mother of US teenager Ezra Schwartz who was killed by a Palestinian terrorist in 2015 urges the UN Security Council to pressure the Palestinian Authority into halting its policy of paying salaries to jailed terrorists and the families of prisoners killed while committing attacks against Israelis. “I am here to make a simple request. Please do not kill. Please do not reward people who kill, because that is as if you are doing the killing yourselves,” she says. 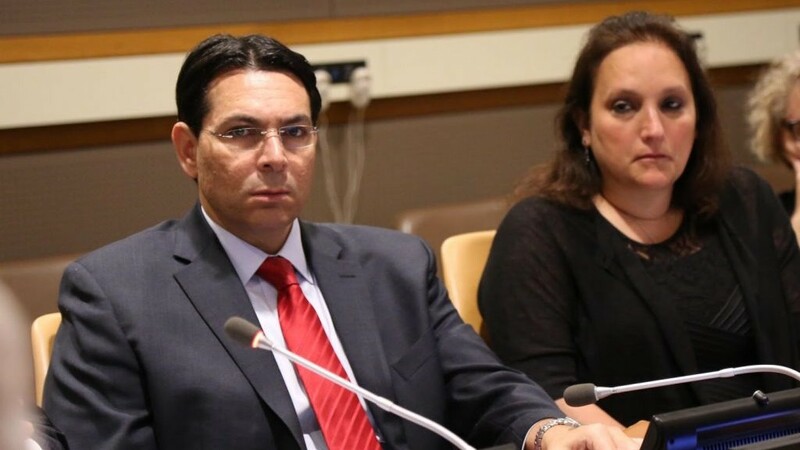 Israel’s UN ambassador Danny Danon tells the forum the Palestinian man who murdered Ezra and two others is currently receiving a monthly stipend of $3,000 for committing murder. He calls on the UN to withhold aid from the PA until the policy is discontinued. President Donald Trump is reportedly dropping Joe Lieberman, a one-time Democrat who was the first Jewish candidate on a major party presidential ticket, from his list of contenders to helm the FBI. Trump had indicated last week that Lieberman, a former US senator from Connecticut and an Independent who has forged strong ties with Republicans and Democrats, was his likeliest pick. Lieberman was seen by Trump’s team as a sop to members of both parties angry with Trump for how he fired James Comey, the previous FBI director. But Democrats in the Senate raised concerns because Lieberman is employed by the legal firm Kasowitz, Benson, Torres and Friedman, which represents Trump. According to CNN, Trump has retained the firm’s top lawyer, Marc Kasowitz, as personal counsel as scandals besieged Trump’s presidency, and that was likely a factor in Lieberman’s removal from contention for the FBI post. British police arrest a man near Manchester in connection with Monday’s terror attack, bringing to five the number of people arrested in the probe into the blast at a pop concert. “We have made an arrest in Wigan this afternoon in connection with the investigation into the horrific incident at Manchester Arena,” police say in a statement. US Secretary of State Rex Tillerson says President Trump was “very forceful” in his talks with Prime Minister Benjamin Netanyahu and Palestinian Authority President Mahmoud Abbas on restarting the peace process during his visit to the region earlier this week. “There were very substantive discussions in Israel with both Netanyahu as well as Abbas,” Tillerson tells reporters. “The president was very forceful in his encouragement to both of them to be serious about approaching these discussions in the future and recognize they have to compromise, everyone has to compromise,” the secretary says. 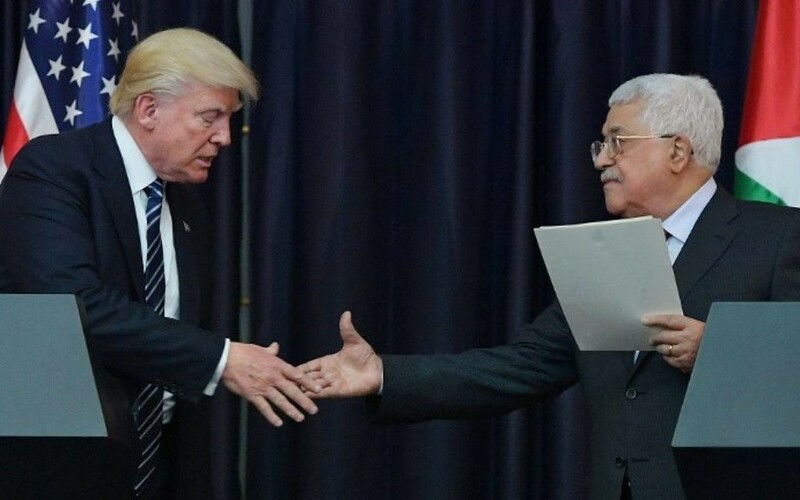 Trump visited Israel and the Palestinian territories on Monday and Tuesday, where he vowed to help broker a peace agreement between the two sides. No details or timetable have yet to be established for negotiations. A brother of the man suspected of carrying out the bombing in the English city of Manchester has been arrested at the family home in the Libyan capital, a relative says. The source, asking not to be identified, says that Libyan intelligence services yesterday arrested Hashem Abedi, who like his older brother Salman was born in Britain. NATO is to join the US-led anti-Islamic State coalition, a diplomatic source says, meeting a key demand by US President Donald Trump that the alliance do more against Islamist terrorism. Scores of people gather in a Manchester square for a multi-faith vigil for the victims of Monday night’s bomb attack at an Ariana Grande concert. 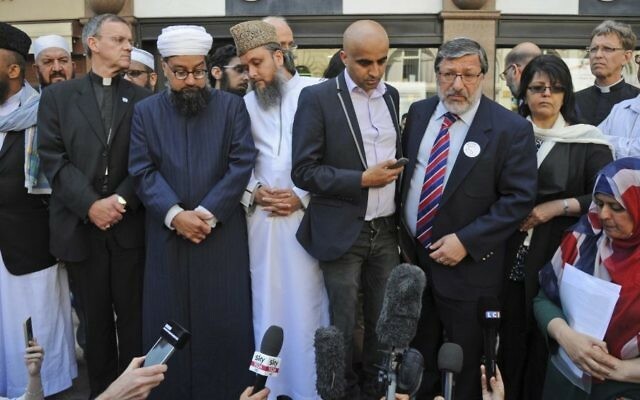 Leaders from Manchester’s Muslim, Christian and Jewish communities echo the message that extremists would not drive a wedge between the city’s religious groups. 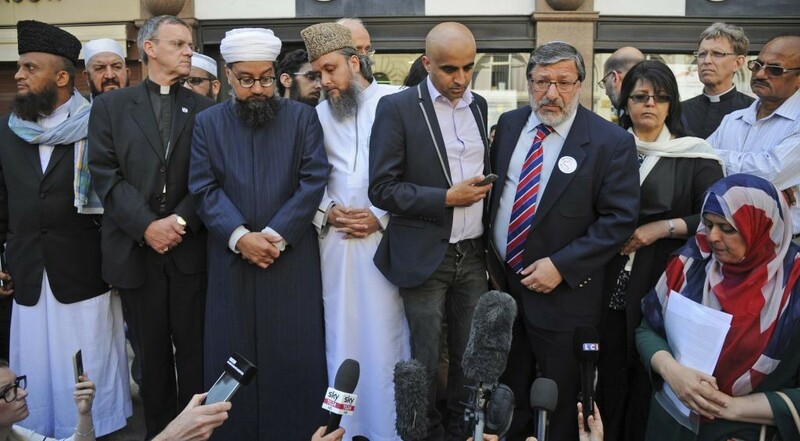 A British man of Libyan descent who died in the attack has been blamed for the bombing. The brief event ended with people lifting their hands in the air during a moment of silence. At the official Jerusalem Day celebration ceremony at Ammunition Hill, President Reuven Rivlin shines a light on the economic disparity between the capital city’s Jewish and Arab residents. “It’s impossible to sing the praises of a united Jerusalem while East Jerusalem is the poorest urban space in Israel,” he said at the event marking the 50th anniversary of Israel’s reunification of the city in the 1967 Six Day War. Jerusalem’s Arab population lives almost entirely in East Jerusalem, where many neighborhoods suffer from lack of resources, poor infrastructure, overcrowded classrooms and overall neglect. Recent figures found that 82 percent of the Arab population lives below the poverty line, compared to 28% of the Jewish population. 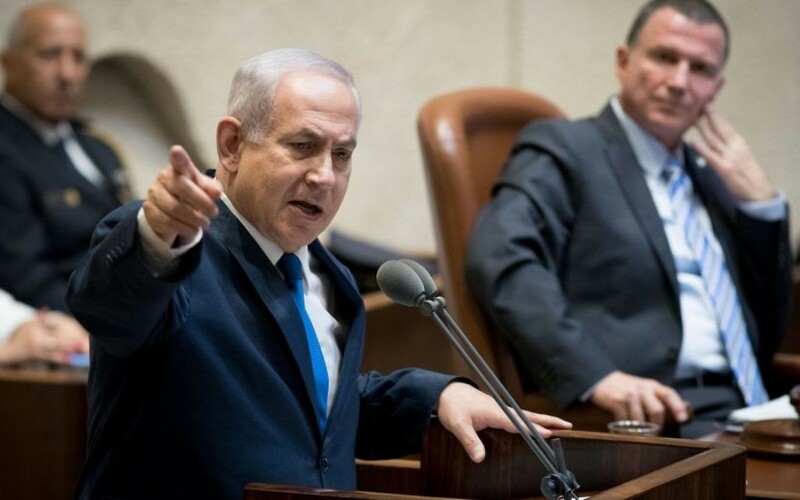 Prime Minister Benjamin Netanyahu says the Palestinian refusal to recognize Israel as a Jewish state is the reason for the stalled peace talks between the two sides. “The consistent refusal to recognize a Jewish state and put an end to this conflict is what is holding back peace,” Netanyahu says at the official ceremony marking the 50th anniversary of Israel’s reunification of the city in the 1967 Six Day War. He says that Israel is willing to broker peace with the Palestinians.